Zonnebloem translated into English means sunflower. It is a suburb in the City Bowl, Cape Town and was previously part of District Six, although it still incorporates part of the historical suburb of District Six to this day. Until the early 19th century, Zonnebloem was a farming estate. Despite having a history marred with tight apartheid legislation; promoting racial segregation, Zonnebloem eventually became less segregated and is now open to all. This suburb is very well located in terms of proximity with the City Bowl and CBD. It is close to the City Bowl and all of its corporates, salons, restaurants and vibrant entertainment locations, galleries etc. This means that in terms of location, it is a great place to be based as it is within proximity to places to live, work and play. 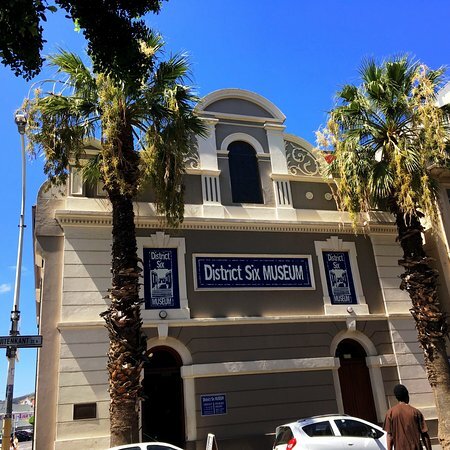 Amongst other things, it is home to the famous District Six Museum. In terms of property values, we spoke to Daniel Greaves, a broker at Knight Frank in Cape Town who specialises in City Bowl and Atlantic Seaboard. “Zonnebloem is one of the remaining areas in the City Bowl with reasonably low property prices, in comparison with the rest of the City Bowl,” Greaves stated. “There is still so much potential there,” he added. Will this potential translate into business opportunities in the near future? We shall see.